One of the things on our behemoth Ready, Set, Sail To-Do List was building a sail repair kit. We’re approaching many tasks with a divide-and-conquer mentality these days, and I was tasked with this particular item. Sail repair is something that Neil and I have absolutely no experience doing, so we attended a sail repair workshop at the Seattle Boat Show last winter and spent some time researching sail repair supplies. We’re hopeful that since we will be departing for the South Pacific with new main and jib sails that repairs will be unnecessary (or at least rare and minimal) during our voyage. Nonetheless, we want to be prepared to address issues that commonly arise when sails are hoisted for extended periods of time, including: chafing, weakened stitching associated with prolonged UV exposure, and minor tears. One of the things I learned by making inquiries to various sail makers is that you can spend as little or as much on a sail repair kit as your budget will allow. In addition to other materials that are fundamental to a sail repair kit, one sail maker recommended that we purchase a yard’s width of enough Dacron cloth to address a tear from the leech to luff of our mainsail, which requires enough cloth to place a patch on both sides. For the non-sailors among our readers, I’ve included a sail anatomy tutorial (see diagram at right), so these foreign words make some sense. While we might sleep better at night with a surplus of Dacron of that magnitude, our conversations with other sailors and sail makers led us to believe that was likely far more than we’d need, especially given the health of our sails. At nearly $39/yard, it also would’ve been roughly $400 for the sail cloth alone, not including the other items that are staples of a decent sail repair kit. Yikes!! After speaking with a few sail companies and getting the input of multiple sailors, we decided to work with Joe at Ballard Sails, a local sail loft in Seattle. He was friendly, highly responsive, and forthcoming with tips and ideas on how to best utilize our new supplies for various repair purposes. We also purchased a small canvas bag for just over $10 that comfortably holds our supplies. I am absolutely certain that lack of organization can cause a crew to unravel into madness in moments when tensions are running high, so I wanted to be certain our sail repair supplies would not get scattered in one of the dozens of bins and tubs that are stored in various places around the boat. All-in-all, we spent $260, and are very pleased to have one more to-do checked off our list. 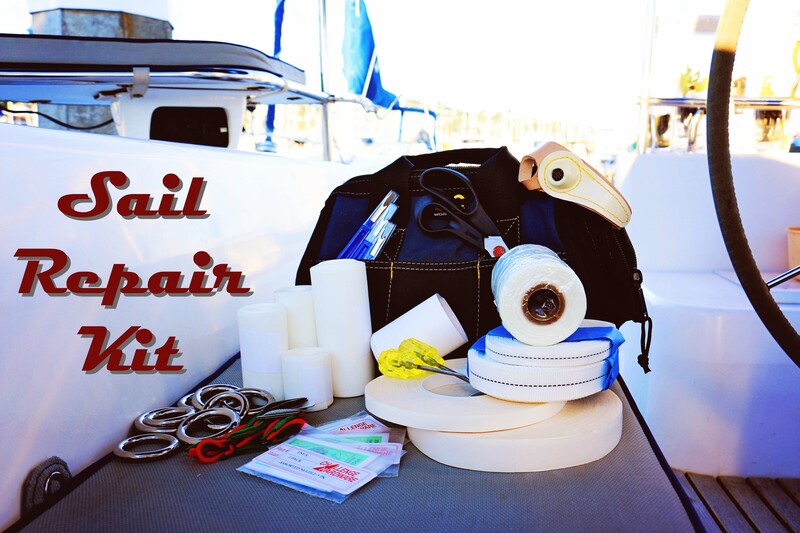 Anything else you’d include in your sail repair kit? This entry was posted in Boat Projects & Maintenance, By Jessie, Countdown to Cruising and tagged Ballard Sails, Sail repair kit, Seattle WA. Bookmark the permalink. I know I would need a little liquid courage if something were wrong with my sail! Thanks for sharing your kit inventory, I have yet to put ours together and will refer to your list no doubt. I did just buy a speedy stitching awl for canvas repair but I think it will come in handy for any sail repair we need to do to. (Hopefully none) Sailrite has them for less than 20, west marine is closer to 40 for the same kit. Much easier than plain hand stitching! Turns out I needed to do some sail repair much earlier than expected! I had a tiny repair at the foot of the jib that needed stitched this weekendd. I got out the awl and found that the needles were HUGE. I didn’t want to make that large of a hole I the cloth. I think I can use a sewing machine needle in the awl, but just hand stitched up this tiny repair. I still like the awl idea because it makes the same type of locking stitch as a machine, but it wasn’t worth trying out this time. I do have a canvas project I might try it on later this week. If I do, I’ll let you know how it works. It is a good idea to include some pliers in the kit bag. This can be used to push and pull needles through thicker parts of the sail. I am guessing you have pliers in your tool kit but, it is nice to have an extra pair in the sail repair bag. 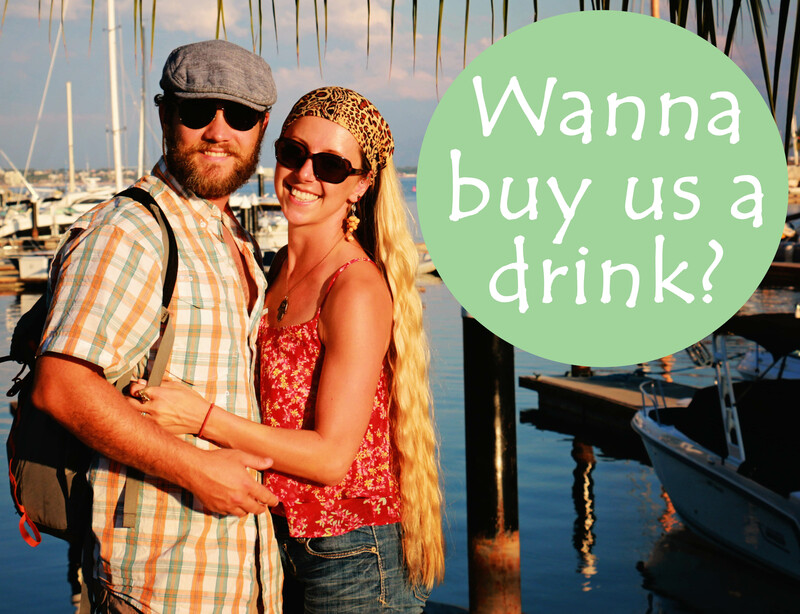 Talk to your local sail-maker and see if you can trade a few yards of used sail cloth for a cold beer. This can be used as a patch if you have a larger hole that the tape will not cover. It doesn’t have to be pretty. Id recommend a product called fixmytear. It’s a repair tape which sticks very well to vinyl, canvas and most other surfaces. Absolutely life saving tape.